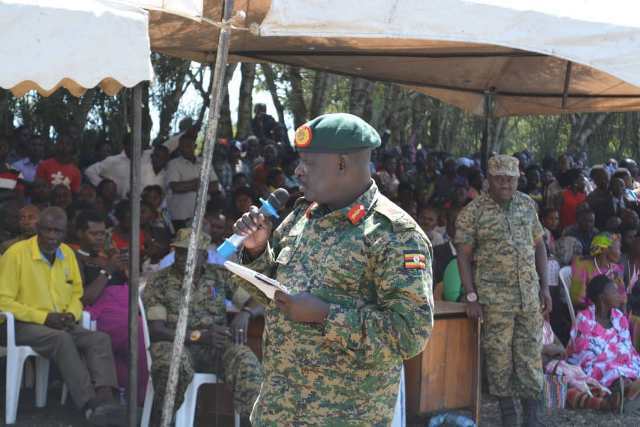 The Uganda People Defense Forces Commander of Land Forces Maj Gen Peter Elwelu has told the people of Kasese and western region in general that the Uganda Peoples' Defence Forces (UPDF) are very determined to keep the country peaceful from both internal and foreign disturbances of any kind. He stated that the security and protection of civilians and properties is the top priorities for the Army. He was Speaking during the pass out ceremony of 1,917 Local Defence Unit (LDU) personnel on Saturday in Kasese District. He told the trainees that serving as a UPDF soldier or an LDU was no luxury but a sacrifice. "You should be prepared for the tasks ahead and keep the areas peaceful wherever you are deployed UPDF has been in Central Africa Republic, DRC, Sudan and Somalia for the sake of peace and helping out our brothers and sisters achieve peace in the spirit of PanAfricanism," Gen Elwelu said. 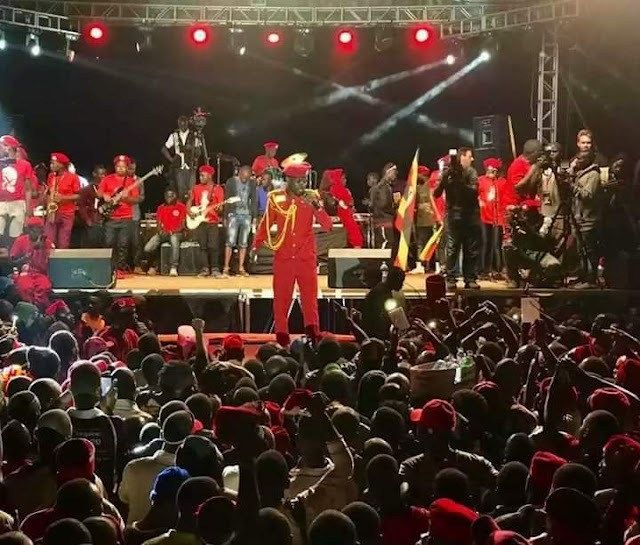 Major General Peter Elwelu came to limelight after brutal attacks in Kasase in November 2016 in which atleast 62 people were killed and hundreds injured. Several people including the Rwenzururu king were also arrested. Elwelu by the referred to those killed Royal guards as terrorists. He was later promoted by president Yoweri Kaguta Museveni from Brigadier to Major General. His visits to Kasese bring back the sad memories especially to the family that lost their loved ones. Several people called on president Museveni and army in general to hold Elwelu accountable for the crime but nothing was none. Kasirye Gwanga was one of those who said one time Elwelu will accounts and pay for his sins. “He committed murder against unarmed civilians. What they did was dehumanizing! That man is in trouble, he cannot escape this. He will be tried one day. The evidence is simply overwhelming. He will be tried for this criminally reckless conduct,” Gwanga said.